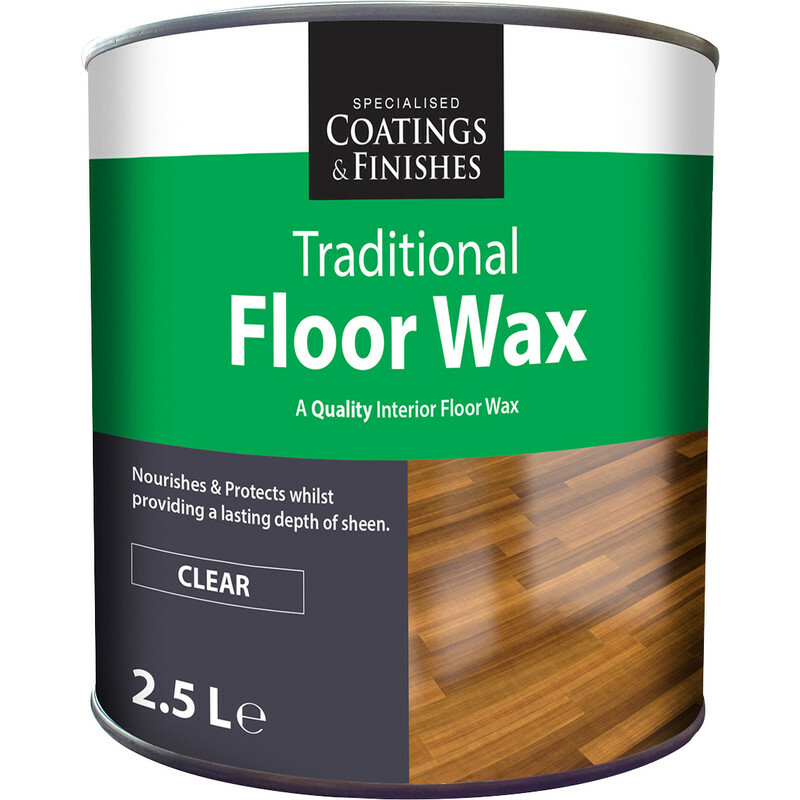 A clear quick drying wax finish which nourishes and protects whilst providing a lasting depth of sheen that naturally enhances the beauty of wood flooring. Can be applied on previously treated surfaces to maintain or improve the existing patina. Drying time 10 – 15 minutes at room temperature. Approx coverage 16m2 per litre. Clear Floor Wax 2.5L is rated 5.0 out of 5 by 1. Rated 5 out of 5 by birchy from great quality product Having first tried this a month ago I'm impressed by it's quality and coverage and aroma . Brilliant value for money.